Admittedly, Dream Theater is one of my favorite bands. They have been since I first heard Scenes From A Memory back in 2000. My friends at the time were big fans of Awake and while I’d heard bits and pieces from that album, it wasn’t until I heard Scenes that I realized the magic this band possessed. I’ve seen them live twice, listened to all their records, and followed all their subsequent releases. This article was originally intented as a full-blown review of Distance Over Time, the band’s 14th studio album released on February 22nd of this year. But once I started writing, I think it’s better described as my thoughts on the band’s last few albums. I tried not to delve into previous albums too much, but, frankly, you can’t understand DoT without understanding how the band got there. So, I won’t frame this as a review. 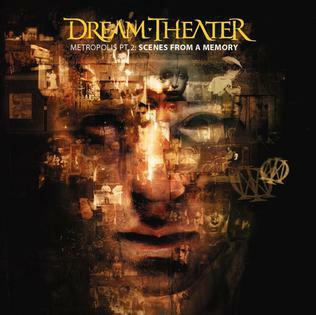 I’ve found something I liked in every Dream Theater release since Scenes From A Memory – I think 2006’s Systematic Chaos is also highly underrated – but even I have to admit, I didn’t think any album that followed Scenes came close to representing what I loved about DT as much as it did. I kept wanting another album where every song demanded you listen to it; that every song would be so good that you wouldn’t dare hit the pause button. This is highly subjective, of course, but this is where I stood. Let’s also focus on John Petrucci for a moment. He’s a well-versed musician and has been a professional for a long time, but after Portnoy left he did have to assume a lot of roles that he could previously share. That’s a lot to take on! But by the time the band released their self-titled album, the band had produced its second with their new drummer and the relationship with long-time friend Portnoy was on the mend. He had a much better opportunity to undertake a serious challenge than he had in ages! So, he did. I think the timing was right for him to undertake more writing duties than he had in a long time. This time, he was to write a complex story and he and Jordan Rudess alone would compose the music. The result was The Astonishing (2016). I won’t delve into details. But The Astonishing was a critical point in the band’s career because without that album, we wouldn’t have gotten Distance Over Time. 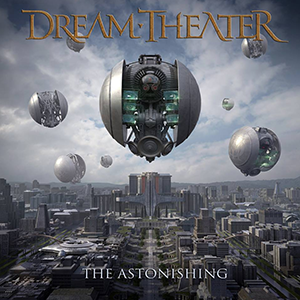 For me, there were two reasons why The Astonishing wasn’t as memorable as some other legendary DT albums. One, the story itself wasn’t that original to begin with. I have the utmost respect for Petrucci, but watching the Queen musical We Will Rock You 3 times, I know the story is so incredibly similar. In general, dystopian futures where something is forbidden and an outcast leads a rebel has been done quite a lot of times. That doesn’t mean the story didn’t have interesting turns here and there, but I wouldn’t go so far as to suggest it was amazing. Needless to say, expecting the “amazing” from Dream Theater, many of us were let down. Second, songwriting wasn’t my cup of tea either. It has nothing to do with whether something is heavy or not. 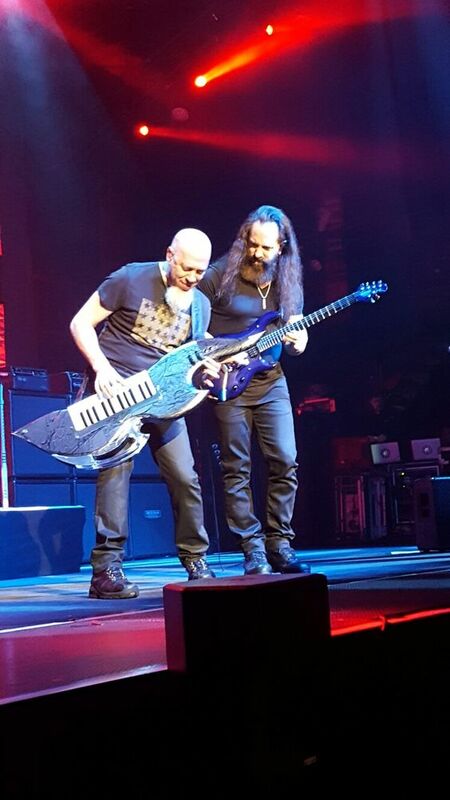 What made Dream Theater great all these years had nothing to do with whether they were heavy or not. It’s just that in general, I thought the band overdid it with the keyboards on The Astonishing. At some point, rather than adding to the song, the keyboard subtracted from the overall punch the song could have otherwise delivered. I love me some keyboards, both in DT and other bands, but depending on the song, balancing the mix is a tough job. Songs like A New Beginning would have been so much better if the guitars were allowed to take the front stage throughout the song. Of course you’ll want piano or keyboards to be at the center in some songs, but in others, it should be on the background. Look at Scenes… That’s the perfect example because it was another concept album. When a song needed the keyboards to assume the supporting role rather than the lead depending on the track or subject matter, Dream Theater allowed it! There was an incredible amount of variety. 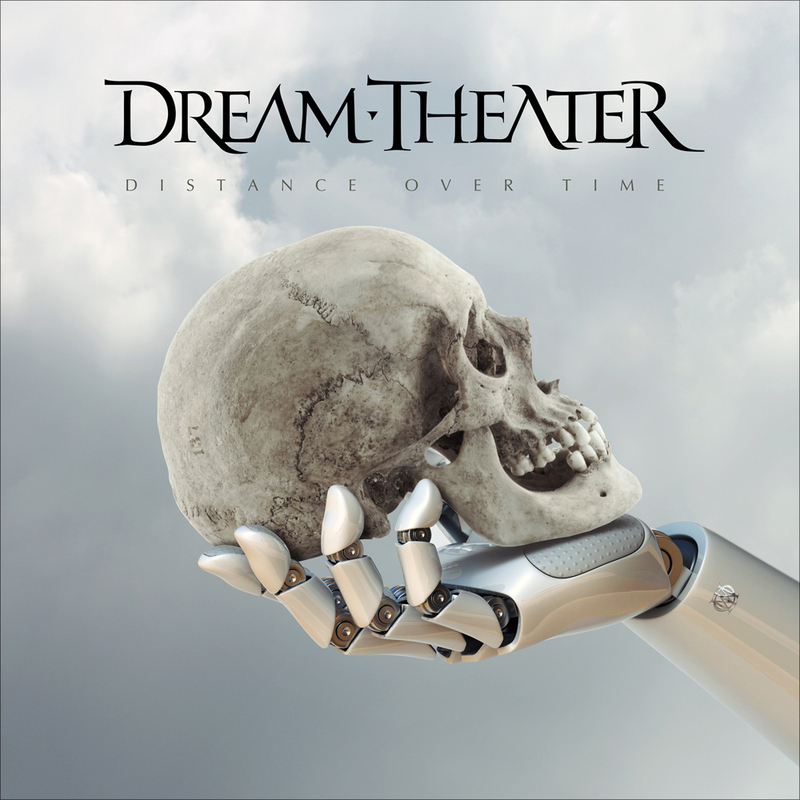 My overall feeling with Distance Over Time is that Dream Theater has gotten its magic back! It’s easy to get cynical, but I’ve heard so many elements of what made me love this band in the first place that I can’t help but enjoy the music. I don’t necessarily think of this as a “going back to roots” kind of album; rather, I see this as Dream Theater acknowledging they write better music when they compose together, rather than making the entire project the undertaking of one or two people. If this album isn’t proof of that, I don’t know what is. There’s great variety in DoT, but here’s what I liked the most: the cohesion of each song. Petrucci mentioned in a few interviews that they wanted some songs more streamlined. They didn’t necessarily go for long songs here. Some fans might be disappointed by that but I welcome it. Like I said earlier, a long song just for length’s sake is pointless. If you can tell a story in 5 minutes, and you insist on telling it in 10, all you’re doing is repeating yourself or adding parts that dilute the strength of the impact if the added parts aren’t as strong as what was already there. The reason why everyone is mentioning a different favorite song online for this album is because all of them leave you with positive impact. Yes, there are parts in some that I didn’t like as much, but that’s neither here nor there. I was never bored. The songs all carried their weight and nothing was diluted due to songs being too long. Not to mention, the album itself isn’t too long, especially in Dream Theater standards. I welcomed that decision too. It’s better to leave your audience wanting more than to leave them feeling like they were done with the album a half hour ago! The second reason why songs felt more cohesive is the songwriting is far stronger on this record than that of its predecessor. This is mainly due to the band writing together at a “secret location” somewhere in New York. I’m sure you’ve all seen the YouTube videos of the band hanging out together, barbecuing, having a good time. In a sense, all members re-connected with each other. Bands that have gone on as long as DT would sometimes lose that connection – it’s natural… happens to everyone! It sounds like this re-connection didn’t just help them on a personal level, but also elevated their music! What I appreciated more than anything on this album is the role the keyboards assume. Songs like Fall Into the Light do such a great job of keeping it heavy and groovy at the beginning and letting the guitars and bass take the front stage and we get to feel the impact of the track right away, but in the middle and towards the later parts of the song, there’s so much great melody and at one point, the keyboards so eloquently come into the picture. I think this is for sure the impact of writing and jamming together. When the entire band comes together and they jam to get some ideas going, they end up picking what works best for the songs. I hope they keep doing albums this way. I can’t really pick one favorite as I liked almost every track on here. They all have their great moments. But if I had to name a few, I think Untethered Angel, Fall Into the Light, Room 137, At Wit’s End (that main riff!! ), and Pale Blue Dot are all stellar songs. Exactly what I was hoping to hear. Dream Theater is still one of my favorite bands. I for one am glad John decided to write as a band this time. I think it elevated everybody’s game. And we, the fans, benefit from it.